AECID » Zamboanga-Basilan Integrated Development Alliance, Inc.
ZABIDA stands to its commitment to work on the Human Security of disadvantaged sectors through partnerships with all stakeholders; from the sector groups, the Local Government Units, the National Government entities, the Civil Society up to the global community. Last February 15, 2019, a mark of friendship and partnership was celebrated through the official closure of the 2nd Convenio and the launch of the 3rd Convenio which was graced by the Spanish Government through the Embajador de España en Filipinas, His Excellency, Ambassador Jorge Moragas and his envoy, the Agencia Española de Cooperación Internacional para el Desarrollo (AECID) through Juan Pita, Coordinator of Technical Cooperation Office and by Manos Unidas represented by Ramon Alvarez, Head, Asian Desk Projects, Miguel Carballo and Jessica Del Olmo. 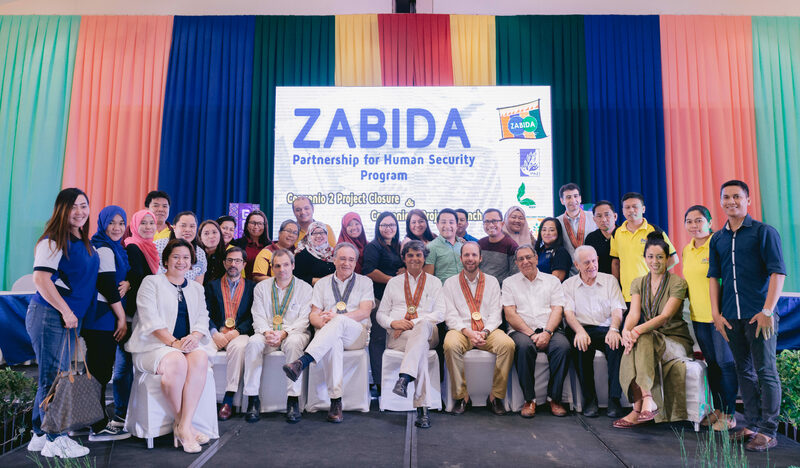 For the 3rd Convenio, ZABIDA partners with a total of 35 High Schools and Elementary Schools and 36 Barangay Local Government Units both in Zamboanga City and Basilan. This is in partnership with various line agencies namely; the Commission on Human Rights Regional Field Office IX, the Philippine Information Agency Regional Officce IX, the Department of Interior and Local Government, the Provincial Government of Basilan, the Local Government Unit of Zamboanga City, the Local Government Unit of Lamitan City, the Municipal Government of Maluso, Office of the City Social Welfare and Development, and the City Disaster Risk Reduction Management Office. 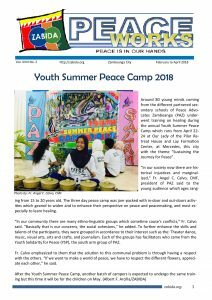 ZABIDA is a Non-Profit Organization and a consortium of four (4) Independent Organizations namely Reach-Out to Others Foundation, Inc., Katilingban sa Kalambuan, Inc., Peace Advocates Zamboanga Foundation, in Zamboanga City and Nagdilaab Foundation in Basilan. Currently, they are implementing the Convenio Project supported by the Agencia Española de Cooperacion Internaccional para el Desarrollo (AECID) and Manos Unidas. Ms. Maisie Faith Dagapioso , Program Coordinator of Katilingban Sa Kalambuan , Inc. facilitated the pre-presentation of the Project Proposal to the body. 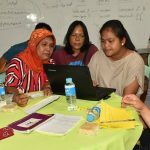 In its continuous program support on Participatory Governance, ZABIDA, through its member-organizations in Zamboanga City, Reach-Out ot Others Foundation, Katilingban Sa Kalambuan Inc. and Nagdilaab Foundation, Inc. in Basilan, conducted an Enhancing GAD Mainstreaming session. 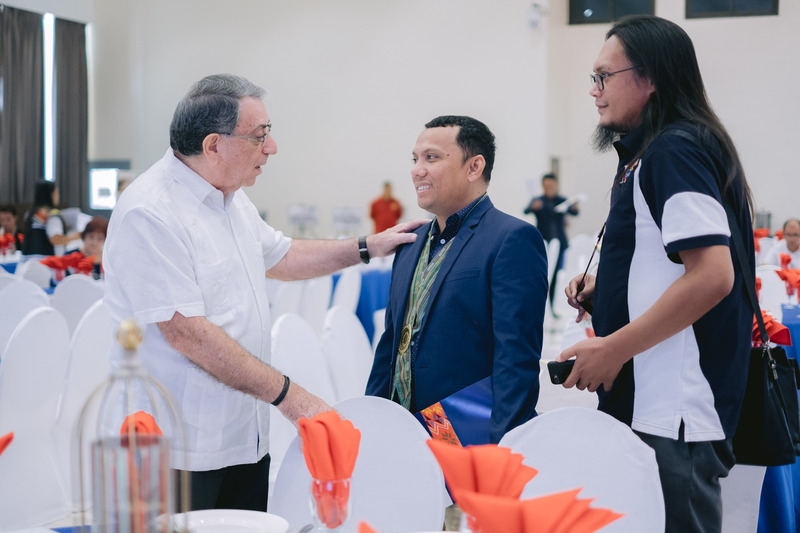 For Zamboanga City, around 80 Barangay leaders and members of the Sector Groups were gathered from March 21 to March 22 held at LM Hotel, Tetuan, Zamboanga City. 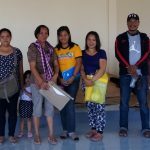 While, about 30 Barangay Leaders and Sectoral Group members from Barangay Townsite of Maluso Municipality and Barangay Matikang of Lantawan Municipality conducted the activity from March 22 to March 23 of this year in Isabela, Basilan. The main purpose of the activity is to provide technical support to the Partner-Barangays in identifying and prioritizing its GAD Plan implementation and to provide further technical knowledge on Gender and Development as a political concern in their communities. As a result of their workshop, the participants presented a proposal on a specificied priority GAD activity from their Plan. Both in Zamboanga City and Basilan, the Department of the Interior and Local Government participated as one of the panelists to provided technical guidance in improving and strengthening their proposals. Isabel Vogel, the General Programs Manager of Manos Unidas, visited a couple of ZABIDA’s partner-barangays both in Zamboanga City and in Basilan. She, together with Manos Unidas Convenio-Philippines Coordinator, Miguel Carballo and Manos Unidas Country Coordinator to the Philippines, Jessica Del Olmo, visited Barangay Bunguiao, Barangay La Paz, Barangay Ayala, Barangay Upper Calarian, Simariki Island for Zamboanga City and Tairan, Lantawan for Basilan. Manos Unidas is an International Non-Government Organization and a “development NGO of the Catholic Church and volunteers” based in Spain. The organization works with around 58 countries in Africa, South America and in Southeast Asia. Currently, it is working with the Philippines through ZABIDA in the implementation of the Convenio 2 Project supported by the Spanish Cooperation for International Development Agency. The Zamboanga-Basilan Integrated Development Alliance, Inc. (ZABIDA) is a regional NGO operating in Zamboanga City and in Basilan. 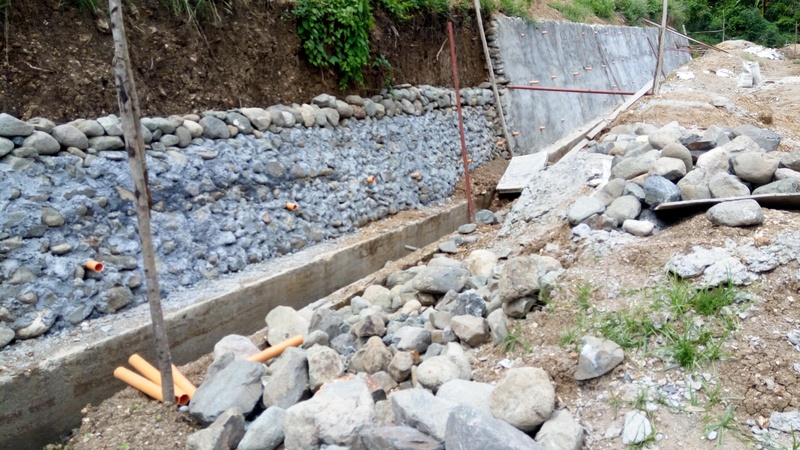 For the Convenio 2 Project, it is working with 54 Barangay Local Government Units on Participatory Governance, Climate Change Mitigation and Adaptation, Disaster Risk Reduction and Management, Gender and Development and Peace and Security. 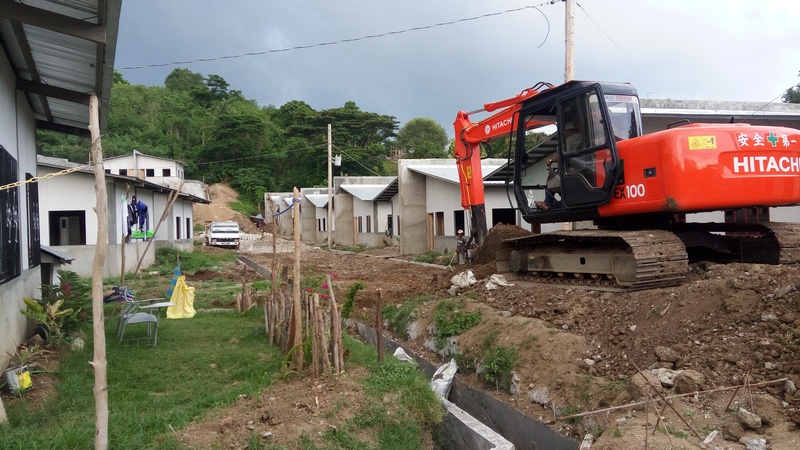 Now, in its 4th and last year of Project Implementation, Manos Unidas through Ms. Vogel, wanted to personally conduct an impact assessment directly from the Right-Holders and Duty-Bearers. In her 5-day visit last March 6 to 10 of this year, she had a conversation with the Federation of Zamboanga Upland Farmers Association, Inc. in Barangay Bunguiao, Eco-Farm, and assessed the work-in-progress Organic Farming Project. 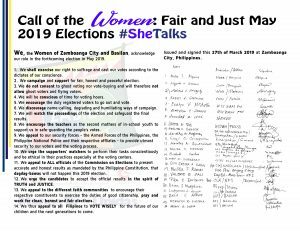 She also listened to the political concerns of the Women Sector from the Bellas Mujeres de Bunguiao Association together with their Barangay Chairperson, Hon. Nestor H. Atilano. Then, she went up to Barangay La Paz, this time together with the External Evaluators, Andrea Navazo and Inigo Gutierez to assess the thriving flower business of the La Paz Flower Growers Association. The Association is composed of Women, Farmers and Youth Sector members that are supported by the Reach-Out to Others Foundation for Participatory Governance under the Convenio Project and by the ZABIDA-Financing Services Program which was supported by Manos Unidas. Also present during the visit was Barangay Kagawad Edgar Chavez, Committee on Agriculture. They also visited Islit Bakery in Barangay Ayala, one of the thriving private businesses that was supported by the ZABIDA-Financing Services Program. Thereafter met with the Hon. El King Omaga, Chairman of Barangay Calarian who presented the Logistical Support they received. An Information Technology Computer Set that is providing digital processing of Barangay Clearance to the people in the community. In Simariki Island, Manos Unidas together with the External Evaluators, Fr. 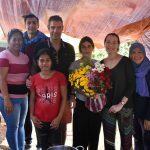 Angel Calvo, ZABIDA President, and Executive Director, Ms. Esperancita Hupida visited the Housing and Bangka project support provided to community. For Tairan in Lantawan, Basilan, Ms. Vogel, Mr. Carballo, Fr. Calvo, Ms. Hupida together with the Nagdilaab Foundation Executive Director, Ms. Miriam Suacito participated in the inaguaration of the Evacuation Center and the Ginger Tea Production Center of the Women Sector in Tairan. Before her trip ended, Zamboanga City Mayor, Hon. Isabelle “Beng” Climaco-Salazar, welcomed and thanked Manos Unidas for supporting ZABIDA and visiting Zamboanga City. She then gave them a token of appreciation to bring back to Spain.